GPs in Cambridgeshire and Peterborough sign 49 fit notes, on average, every day according to the latest NHS figures. Doctors working in the NHS Cambridgeshire and Peterborough CCG issued a total of 17,832 notes between July 2017 and June this year. In Cambridgeshire and Peterborough, the average monthly rate of fit notes was 1,514 per 100,000 working age people registered with a GP. 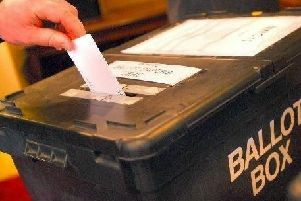 The highest rate was 3,695 in Halton, Cheshire. The lowest rate was 851 in Richmond, London. Of the 17,832 notes signed over the 12 months in Cambridgeshire and Peterborough, 2,377 were issued for mental health issues and 1,357 for back problems. The number of fit notes signed in Cambridgeshire and Peterborough from July 2017 to June this year is down on the previous 12 months, but this may be due, in part, to under-reporting in February caused by technical issues in gathering the data.